Owen Graduated from preschool on wednesday! He loved going to preschool this year and has learned soooo much! Let's hope he loves all day kindergarten next year as much as I will!!! Today is the last day of school. 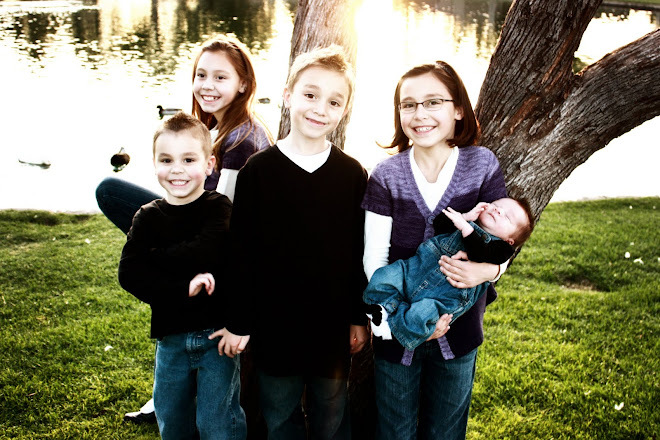 I think I am ready for a break from getting the kids ready for school, but I think I only need a day or 2 off! Hopefully the summer will go by fast cause we have a few vacations planned and then when school starts again I will get to send 3 kids to school! I can't wait for that...only 2 1/2 months away! 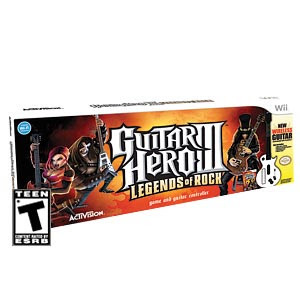 I just have to say that I am now addicted to the guitar hero! (Even after I got booed off the stage the first time I played it) I am getting better now and even have the top score on a few of the songs (passed Peter on 2 of them). I am still playing on the easy but it's only been a few days since I started playing it. It's just so fun to finish a song and they say YOU ROCK and I am thinking, yes I DO ROCK!!! We decided it was time to take our family to the great outdoors for our very first camping trip. 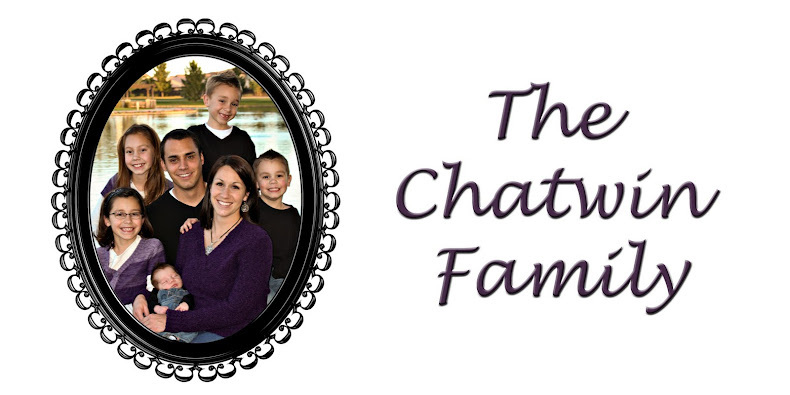 We invested in camping equipment in hopes that it would that the kids would love camping and we can go more often. Last weekend we set up the tent in the backyard and we all slept in it for a little practice round. The kids did great and couldn't wait to we got to "go sleep in the woods." So on friday we let the kids ditch school and heading to the mountains for one night. We ended up going up Oak Creek Canyon just past Sedona and it was absolutely beautiful! The views were amazing! We found a great campsite in cave springs campground where we had no neighbors on one side and the neighbors on the other side were gone for the day and didn't come back till after we went to bed. It was great! After we set up camp, we went for a little hike to the creek. The kids just loved being outdoors. After we packed up saturday morning we decided to stop at Slide Rock Park before heading home. As we were walking down to the swimming area Quincy was informing that she would never go swimming in a river or lake cause that was just really gross. Well it wasn't too long after we had started wading in the water and after everyone had slipped and fell in at least once, that they were having a blast and wishing we had our swimsuits with us so we could really swim in it. We will definitely have to make another trip up there with our swimsuits. We had such a great time on our camping trip, that we are already planning our next adventure. We our planning a camping trip to the Grand Canyon for the 4th of July weekend. We have never been to the Grand Canyon before and we think it is time to explore this beautiful state of Arizona! For all you camping lovers out there, do you know of any good places to go? We have no idea where the good places are and just finding stuff off the internet...so any suggestions would be greatly appreciated! Today is Quincy's Birthday! She is 9 years old now. She opted to wake up at 6:45 this morning to open her presents before her dad left for work, otherwise I would have made her wait till he got home! For her birthday all she really wanted a ipod nano. You think a 9 year old is too young for a nano...but Quincy just loves music and has been so frustrated with her little shuffle. She just had too many songs on it that she couldn't find. So she sacrificed her friends birthday party to get the nano. Here is her "sad" birthday cake. This poor cake has just about fallen apart. It has gotten so warm down here that the frosting was just falling off. That's the great thing about kids though, they don't care if it's perfect, just as long as it is for them! Quincy is such a wonderful daughter and such a great big sister. 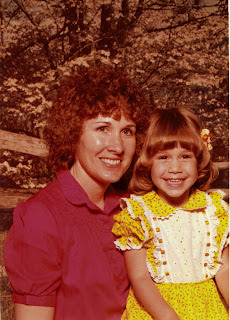 This is a picture of me and my mom when I was 4 or 5. I thought it was so special...I was the youngest of 7 children (my mom had 1 more a few years later) and just her and I went to Kmart and got our pictures taken together. I'm sure all my brothers and sisters were so jealous! After a year and a half with an HDTV, we finally took the plunge and got the HD programming for it. It is absolutely amazing! I can't believe what a huge difference it is. We've only had it for a couple of hours and now when we switch to channels that aren't HD I think my eyes are going bad cause it is just that crappy! We are getting a temple less than 2 miles away! I've been so giddy about it since it was announced. And even better yet, when it is finished my girls will be old enough to babysit so we can go without having to pay for a babysitter! 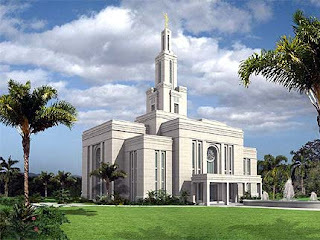 This is an artist's rendering of what the temple could look like, isn't it beautiful? It kind of reminds me of a mini Mount Timpanogos Temple which was built about 2 miles from my house in Utah. It was so awesome to be able to drive by it everyday on my way to high school watch it be built, watch them put the Angel Moroni on top, attend the open house and the temple dedication, and then eventually be married there. I'm so excited that my kids will be able to experience some of the same things. Hopefully we will be able to take them to the open house and dedication, you know years down the road when it will finally be finished.